You are viewing the latest edition to our inventory. 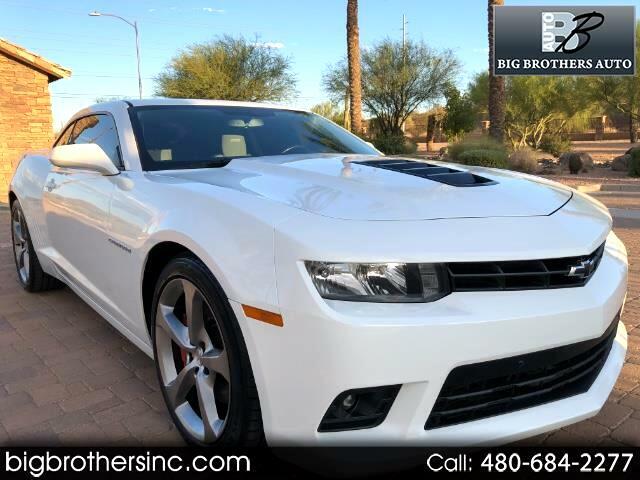 A 2015 Chevrolet Camaro SS conveniently equipped with features including: Automatic transmission with paddle shifters, 6.2L V-8, Sunroof, Alloy wheels, custom exhaust, power windows, power locks, cruise control, tinted windows, bluetooth audio system and much more! This vehicle does come with theft history on Carfax, but it is a clean title from California with no body damage. We have also put this and everyone of our cars through an extensive multi level inspection process to ensure all of our customers receive a turn key used vehicle with no worries. We have extended warranties available that include a very useful maintenance program. We also have very flexible financing available for all types of buyers with rates as low as 2.9% OAC. Please call or text John at 602-684-0202 with any questions, or if you would like to come out to see and test drive this vehicle.